On April 10th, I found a banded Piping Plover at Breezy Point in Queens NYC. The bands were not easy to see and I had to spend some time getting close enough to be able to see the color bands well. This bird had no flags but had the following band and color scheme. Upper Left Upper (Green), Upper Left Lower (Light Blue), Upper Right Upper (Dark Blue) and Upper Right Lower (White). 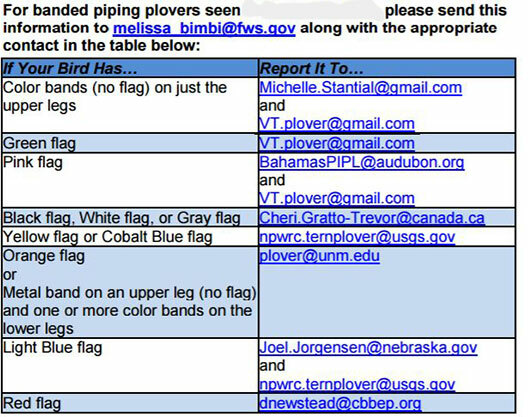 Fish and Wildlife Services listed Mchelle Stantial as the person to contact for any PIPL with color bands and no flags on the upper legs. After reaching out to her, this is what I learned. This female Piping Plover nicknamed "Cowboy" was banded as a day 1 chick at E.B. Forsythe NWR in 2016. She apparently has decided to try out new frontier by settling in Queens. Lets hope she is successful and raise a brood of her own. If you see a banded Piping Plover, please try and document it as best as you could. Researchers are eager to learn the well being of these birds and value every bit of scientific data. 1Cy Lesser Black-backed Gull about to take flight. I have learned that dire weather can bring good things. I am speaking of course about birds; specifically Gulls, those maddening Laridae types that you either love or hate. 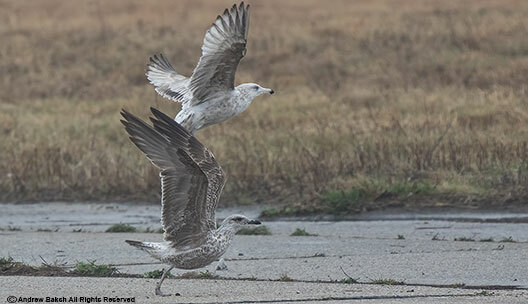 The problem for someone like me in Queens, is where to look for Gulls when we have bad weather. Unlike our cousins in Brooklyn, we in Queens have little options save for the Rockaways, Fort Tilden, Riis Park and Breezy Point. There are other sites of course where the usual suspects like Ring-billed Gulls, show up and in good numbers but when we are talking about the percentages for a good return in Queens, then your money is better off betting on hitting the jackpot working the coastal sites. 4Cy Type Lesser Black-backed Gull looking quite spiffy. As a result, I have found Brooklyn to be better for Gulling, with plenty of options including Floyd Bennett Field. A favored spot to check for Gulls whenever we get hit with a storm. Yesterday, I took a chance in thunderstorm and rain to do some birding. If I had the time, I would have fared better later in the afternoon (as later reports from other birders suggested) when the rain subsided and the light was better. Nevertheless, I can't complain too much for the return in investment of 20-25 minutes of my time, during which I managed 2 Lesser Black-backed Gulls and 1 Iceland Gull (Kumlieni). Not bad for a quick bit of birding. 1Cy Iceland Gull (Kumlieni) in flight.